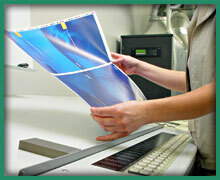 Many factors go into selecting the right printer. The ability to handle every aspect of your project is crucial. At Your Town Press, we cover the basics, then go beyond, consolidating multiple advanced printing and bindery resources under one roof. While our veteran press and production people are expert at their jobs, we respect and share the exacting standards of designers, art directors, production managers and other clients, and welcome those who may wish to join us at press-checks. Wide selection of coatings, including aqueous, varnish and diamond, available in satin, dull and gloss finishes. Can be printed as flood or spot. Large format 40" presses. Allows for printing more surface area in one pass; reduces unit costs. Can print on heavy (up to 24 pt.) card stock. 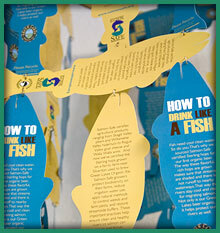 Die cutting: highly customized designs handled in-house. Can do up to 40" footprint up to 24 pt. card stock. Allows for wider variety of design options, larger, more elaborate pieces. Perfect Bind up to 2 1/4" spine. Pick up and delivery: We pick up and deliver copy, proofs and finished projects daily in Eugene, Corvallis, Albany, Salem and Portland. Customer service representives: A skilled professional who will stay in close personal contact and follow your job from start to finish; from ideas on cost-efficient production, to avoiding common mistakes. On-staff technicians: To help you develop and/or refine you concept and handle all pre-press duties. 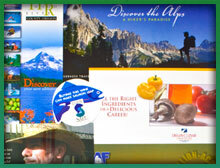 Complete mailing services: Including addressing, sorting, list acquisition and postage permit administration. One Semi-Automatic Wire-O Machine (1/4" up to 1") finishing up to 27"